Why not hire a Clown for your next event or party? So you are in Derby and you are looking for some form of entertainment for a family fun day or a children’s party. Well you have come to exactly the right place. Now some people think clowns are scary but most children actually find them hilarious. Some adults do as well. I know I certainly do and they are a great form of entertainment for the young ones. Clown Derby – Through the years of performing at various venues throughout the UK I have managed to become acquainted to stacks of clowns who perform great shows and generally do a great job. Although I am not a clown myself, I do have a great contacts book of some of the very best Clowns which are available to hire. Just give me a shout and I will point you in the right direction. I do not ever pass on bad recommendations, so who ever I recommend will certainly do a great job and be a pleasure to have at your event. So what does a clown do? Well they do a mixture of balloon models, magic, juggling, mime and are just generally funny people. Some of them do set 30 minute show, some do full 1hr shows and some even just do mix and mingle with your guests if that is what you are after. Clown Derby – Why not get in touch with me and I will be able to source a super clown, for a super price who will not let you down. 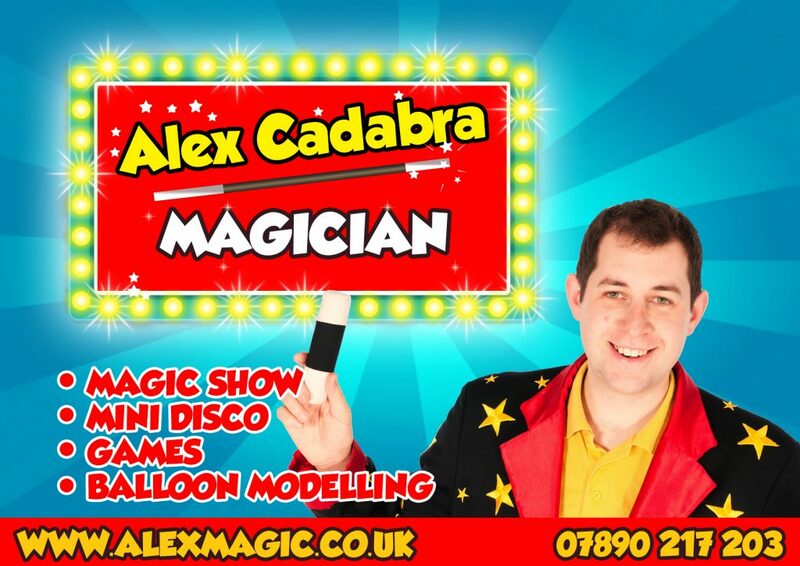 Any questions please get in touch with me on alex@alexmagic.co.uk or if you are after a children’s entertainer, but not a clown please take a look around my website on www.alexmagic.co.uk . You will see on here all of the various packages I offer for children’s birthday parties.